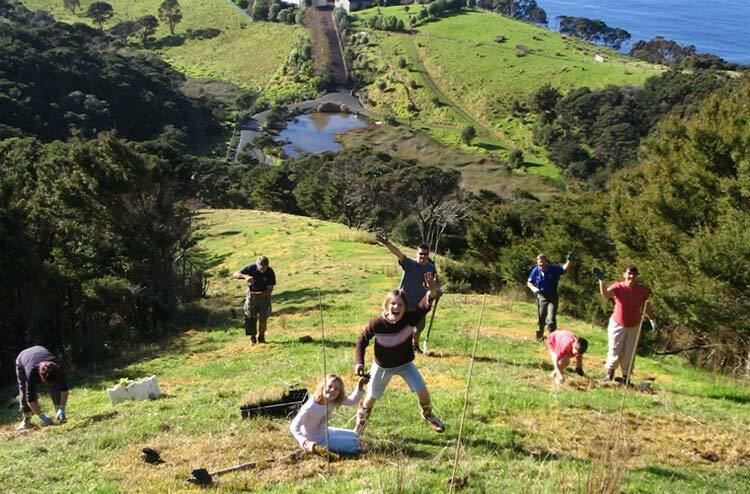 In late 1997 The Te Ara Roa Family Trust purchased a 25 ha lot on the North Face of Kauri Mountain. Furthermore a few months later the Trust purchased a further 12 hectares block adjoining the original, consequently creating a total holding of 37 hectares. The land was a mixture of open pasture, wetland areas and extensive areas of native bush. The property was not fenced at the time and was furthermore grazed heavily by stock. Kauri Mountain is a region of high ecological values. Several threatened native plant and animal species are living and growing in the area. This included the iconic Kiwi which is constantly under huge pressure. Introduced pests and domestic animals, mainly dogs are the Kiwi’s number one enemy. Our vision for the land was to embark on a long term re-vegetation plan. Two large areas (approx total of 10 ha) of native bush were fenced off permanently from grazing. This would allow the forest floor to re-vegetate and improve the overall health of the bush lots. Furthermore this improves the habitat available to local native birdlife, including Kiwi. A large area of wetland has also been fenced and is part of a yearly planting program to restore and enhance this precious habitat. This wetland ranks within the top ten wetlands in Whangarei. We have seen an improvement in bird life over the many years because of our ongoing pest control. Seems like although this is a perpetual process, it can only be controlled, not eradicated. We are also allowing other areas of the property to convert back from pasture to native bush. Consequently it takes a number of years of weed control until canopy is restored. The large paddock below Te Huia has just been released from grazing and will be included in the re-generation plan. As a neighbourhood conservation group we have set up a native plant nursery to supply us with locally sourced and grown plants. Over the past 10 years we estimate over 50,000 native plants have been put in the ground. Especially relevant are the thousands more that are re-generating naturally. The entire property is part of the catchment area for the Taiharuru Estuary. Because we keep this catchment area healthy we will consequently improve the health of the estuary environment it feeds into. 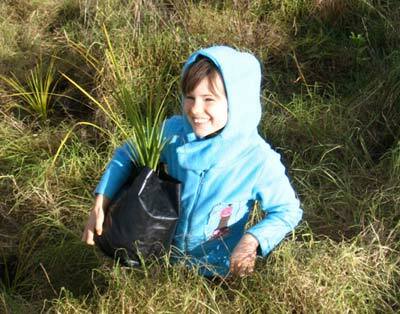 Our vision is for the property to be fully restored to native bush. Especially relevant is to mitigate the effect our dwellings and development have made on the land. We endeavour to live with minimal impact and as a result enhance the natural environment. Along with these conservation efforts we work on our sustainability in the areas of energy, waste, water, and pollution. We use only non toxic, environmentally friendly and biodegradable toiletries and cleaning products. Contact us if you with to take part in our next planting project!